Making Tax Digital (MTD) is a new tax initiative that will see UK businesses submit digital updates to HMRC once per quarter. Going digital will see our tax system become more efficient, and make it easier for UK businesses to stay on top of their tax affairs. When are we Making Tax Digital? 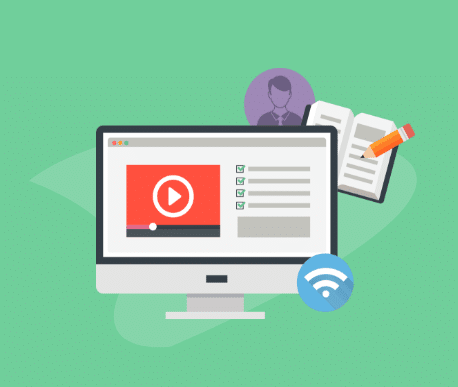 From April 2019, businesses registered for VAT above the threshold of £85,000 will have to start keeping digital records and submit digital VAT returns to HMRC. You can find out if that applies to you using our MTD calculator on this page. Making Tax Digital for income tax and corporation tax will come into effect once the VAT scheme has finished a successful rollout. This is currently projected to be from April 2020. Once dates have been formally announced, we’ll let you know what to do next. Under Making Tax Digital, businesses (including sole traders) will have to send quarterly updates to HMRC of their income and expenditure. This will have to be done through online accounting software. The software you choose will need to use application programme interfaces (APIs) for returns to be filed to ensure it is MTD-compliant. KashFlow are working closely with HMRC and will be one of the first online accounting software providers to be MTD-compliant. Why are HMRC Making Tax Digital? Under MTD, tax recording will be more accurate. 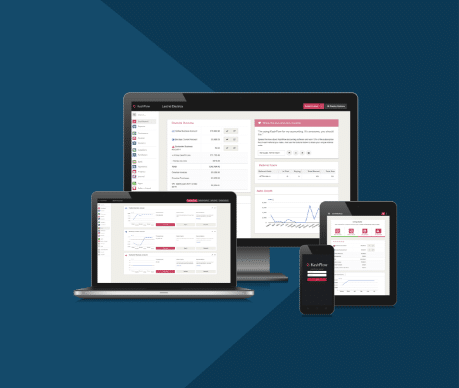 Online accounting software provides fewer opportunities for errors and miscalculations, and it’s easier to spot and amend as you go. The tax system itself will be more efficient when it’s digital. Automated processes will mean the system is faster, saving time for businesses, accountants and HMRC. When businesses are using online accounting software, they’ll find it easier to record and file their tax returns. It’ll also make it easier for business to budget for their tax bill at the end of the year. Find out more here. Are HMRC scrapping the year-end tax return? No, but Making Tax Digital will make it easier to complete. Instead of having one big tax return to fill in at the end of the year, you provide four smaller updates. When it gets to year end, you check that the information they’ve collected digitally is correct, then send an update to HMRC. Much easier. 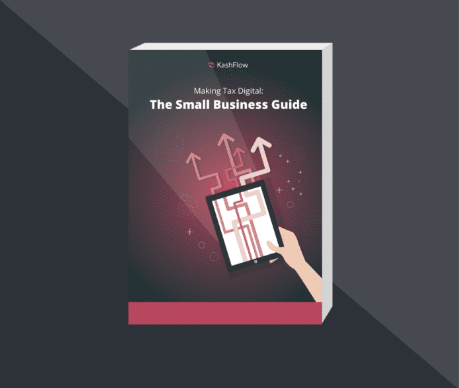 In this guide, we’ll explain what Making Tax Digital (MTD) is, when it comes into effect and how it is going to impact your business. Complete with key dates and up-to-date legislation this is an essential free guide to understanding MTD. 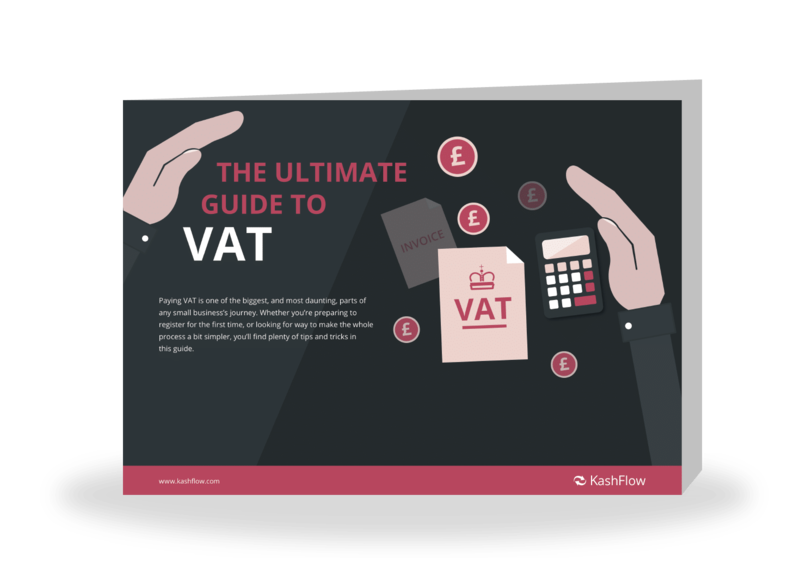 Paying VAT is one of the biggest and most daunting parts of any small business journey. Whether you’re preparing to register for the first time or looking for a way to make the whole process a bit simpler, you’ll find plenty of tips and tricks in this guide. 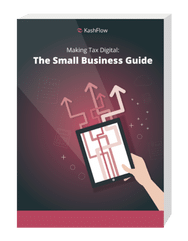 KashFlow’s online accounting software will be Making Tax Digital compliant ahead of the deadline. To make sure you are too, we’ve put together the below resources. Learn more about MTD in our free guide, see how your business needs to prepare with a free Healthcheck, or start using MTD compliant software today with a free software trial.